The moment Libyan rebels or the National Transitional Council (NTC) as the media loosely describes them, were seen getting a sniff around the Libyan capital Tripoli and Col. Gaddafi’s last bastion, some crude commentators went into euphoric overdrive. Not only did they commit the cardinal sin of discarding cautious optimism, they also belied the fact that they don’t know the Colonel and his cahoots at all. Well, neither does the Oilholic for that matter – at least not personally. However, history tells us that this belligerent, rambling dictator neither has nor will give up that easily. In fact at the moment, everyone is guessing where he is? To begin, while the end is nigh for the Gaddafi regime, a return to normalcy of oil production outflows will take months if not years as strategic energy infrastructure was damaged, changed hands several times or in some cases both. As a consequence production, which has fallen from 1.5 million barrels per day (bpd) in February to just under 60,000 bpd according to OPEC, cannot be pumped-up with the flick of a switch or some sort of an industrial adrenaline shot. In a note to clients, analysts at Goldman Sachs maintain their forecast that Libya's oil production will average 250,000 bpd over 2012 if hostilities end as "it will be challenging to bring the shut-in production back online." These sentiments are being echoed in Italy according to the Oilholic's, a country whose refineries stand to gain the most in the EU if (and when) Libyan production returns to pre-conflict levels. All Italy’s foreign ministry has said so far is that it expects contracts held by Italian companies in Libya to be respected by “whoever” takes over from Gaddafi. Now, compound this with the fact that a post-Gaddafi Libya is uncharted geopolitical territory and you are likely to get a short term muddle and a medium term riddle. Saudi (sour) crude has indirectly helped offset the Libyan (sweet) shortfall. The Saudis are likely to respond to an uptick in Libyan production when we arrive at that juncture. As such the risk premium in a Libyan context is to the upside for at least another six months, unless there is more clarity and an abrupt end to hostilities. While tech-specs jargon regarding the five rigs Baker Hughes will use to drill the wells at a depth exceeding 4,000 meters was made available, the statement was conspicuously low on the cost of the contract. The key objective is to bring the production in the range of 145,000 to 150,000 bpd by 2013. Meanwhile, Moody’s has raised the Baseline Credit Assessment (BCA) of Russian state behemoth Gazprom to 10 (on a scale of 1 to 21 and equivalent to its Baa3 rating) from 11. Concurrently, the ratings agency affirmed the company's issuer rating at Baa1 with a stable outlook on Aug 17th. The rating announcement does not affect Gazprom's assigned senior unsecured issuer and debt ratings given the already assumed high level of support it receives from the Kremlin. Moody's de facto regards Gazprom as a government-related issuer (GRI). Thus, the company's ratings incorporate uplift from its BCA of 10 and take into account the agency's assessment of a high level of implied state support and dependence. In fact raising Gazprom's BCA primarily reflects the company's strengthened fundamental credit profile as well as proven resilience to the challenging global economic environment and negative developments on the European gas market in 2009-10. "Gazprom has a consistent track record of strong operational and financial performance, which was particularly tested in 2009 - a year characterised by lower demand for gas globally and domestically, as well as a generally less favourable pricing environment for hydrocarbons," says Victoria Maisuradze, Senior Credit Officer and lead analyst for Gazprom at Moody's. Rounding-off closer to home, UK Customs – the HMRC – raided a farm on Aug 17th in Banbridge, County Down in Northern Ireland, where some idiots had set-up a laundering plant with the capacity to produce more than two million litres of illicit diesel per year and evade around £1.5 million in excise duty. Nearly 6,000 litres of fuel was seized and arrests made; but with distillate prices where they are no wonder some take risks both with their lives, that of others and the environment. And finally, Brent and WTI are maintaining US$100 and US$80 plus levels respectively for the last seven days. © Gaurav Sharma 2011. Photo: Veneco Oil Pumps © National Geographic. Table: Global commodities ETPs © Société Générale CIB/Bloomberg Aug 2011. Oil will continue to power global economies in the main for decades in the absence of a viable alternative taking off meaningfully, but have you given thought to how the crude stuff is moved globally. Odds-on bet would be that an oil tanker springs to mind - that bulky out of sight and out of mind metal behemoth crucial to the movement of oil around the globe. In a fascinating book - Oil on Water by Paul French and Sam Chambers, the reader gets an insight into the tanker transport aspect of the crude supply chain. As the economic balance of power, most notably manufacturing, shifts to the East, so does traffic in shipping lanes in the general direction of the growing economies of Indian and China, the authors note. Joining their ranks is the age old developed world crude consumer - Japan, and regional oil exporters turned importers from Vietnam to Indonesia. Club them all together, factor in China's dominance, bring out the empirical and anecdotal evidence, and the rise in South and East Asia's growing imports of the bulk of two trillion tons of black gold moving across global shipping lanes is becoming increasing visible. In this concise book of just over 200 pages, split by 10 chapters, French and Chambers begin by describing why the uninterrupted flow of oil is essential to globalisation and increasingly so as manufacturing and markets move Eastwards to Asia. The book is part narrative, part reportage, part case study and part history. The authors switch seamlessly between describing their first hand experience on-board a crude carrying vessel, the history of the business and geopolitical concerns. 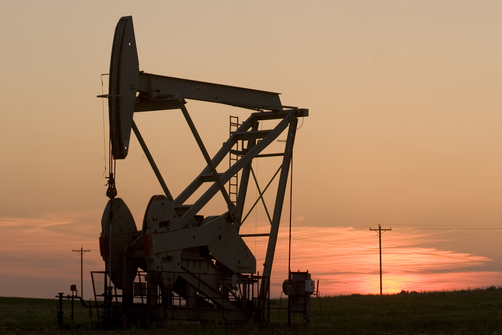 Central to it all are the buzzwords of the modern day crude business - "energy security." It's what makes Indian and Chinese strategic planners wake up and smell the coffee, it's what American politicians are increasingly paranoid about and it's what some regimes bank on as a political tool. China's cravings are growing by the year. Where and how these tankers are loaded, their modus operandi, security concerns, business hiccups and finally their centrality to the crude business it seems is only in the global subconscious. French and Chambers deserve to be applauded for raising the issue via this book. 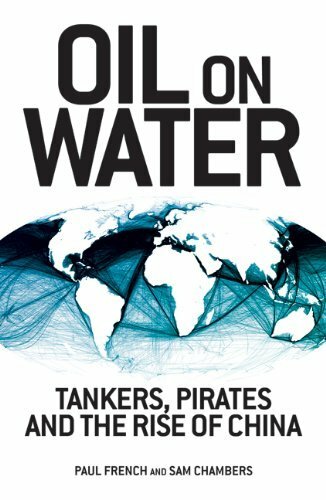 Both authors have gone one step further; they have raised issues of potential alarm from infrastructure to piracy, from environmental concerns to conflict which could disrupt a crucial traffic flow which we take for granted and seldom see firsthand. A discussion on life without oil, the economic shift eastwards, piracy and pipeline politics are all there in this book and in some detail accompanied by facts and figures to substantiate the authors' case. It is one the best books the Oilholic has read on the subject and a must read for anyone interested in the energy business, geopolitics and movement of crude oil. It touches on a much ignored yet supremely crucial component of the movement of crude oil. Many make assumptions about it; few care to talk about it. Hence, the authors of this book have done us all a service. The Indian Oil Corporation Ltd (IOC) issued its much talked about bonds to the tune of US$500 million last week, with a 5.625% rate due in 2021 to fund ongoing and future domestic projects. Banking on the premise of burgeoning demand among other metrics, ratings agency Moody’s gave it a Baa3 rating with a stable outlook. Through its 10 refineries with a combined capacity of 1.2 million barrels a day, IOC is India’s largest downstream company with a near 40% market share. While it is a publicly listed company, the Indian government owns 78.92% of it. From an Indian majority state-owned behemoth to a LSE-listed upstream company 51% owned by the government of the Emirate of Dubai – Dragon Oil – which was brought to the Oilholic’s attention recently. Dragon’s share price is nowhere near its own 52-week high of 609p, but past few trading sessions following its H1 interim results have seen its price rise nearly 4% or 20p on average to about 490p in a decidedly bearish environment. (For the record, it is not the biggest LSE-listed riser of the day – that accolade goes to Heritage Oil but that’s a story for another day). Question is do you buy it? Examining past performance seems to suggest so and Dragon has recorded a 25% average (gross) production growth for H1 2011. Furthermore, the upstream co has set itself a rather ambitious production growth target of 20% on an annualised basis for the year. For 2011-2013, the company seeks to maintain target of average annual production growth in the range of 10% to 15%. Away from production projections and by force of habit the Oilholic always looks at the EPS which is up 125% year over year for the first half of this year. Additionally, it remains a takeover target for the majority owners (among others). The Dragon’s central plank or prized asset is prospection in the Cheleken, an offshore Turkmen jurisdictional area in the eastern section of the Caspian Sea. This can be further narrowed down to an operational focus on the re-development of two oil-producing fields - Dzheitune (Lam) and Dzhygalybeg (Zhdanov). On the ground Dragon looks promising; on paper it looks a shade one-dimensional. From an investor’s standpoint, that would make its shares a reasonable medium term investment. 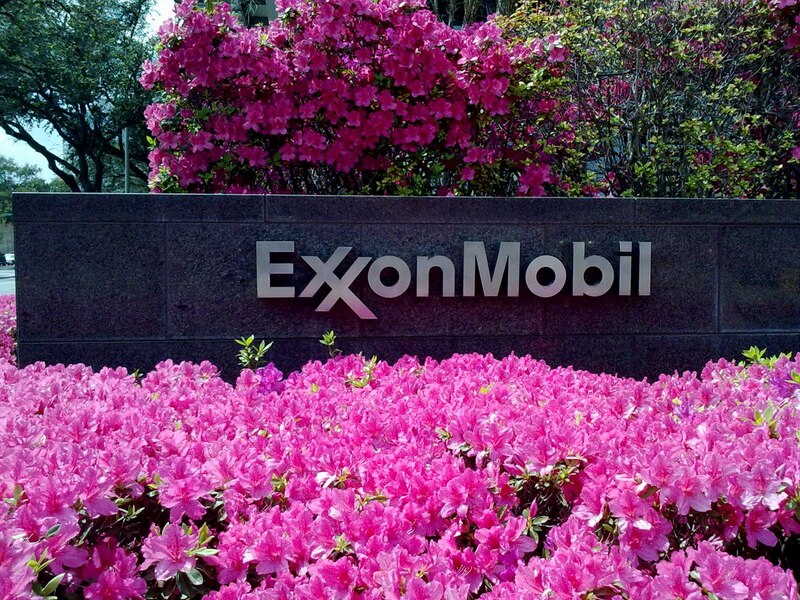 The Oilholic is always partial to the idea of going long; hence Dragon’s shares are appealing within reason. Moving on to an offshore story of a grave kind, Royal Dutch Shell confirmed that a leak in a flow line leading to the Gannet Alpha oil platform, east of Aberdeen, Scotland, found on Wednesday is “under control with leakage considerably reduced.” According to local sources, a Remote-Operated Vehicle (ROV) has been deployed for inspection checks and to monitor the subsea leak. Admittedly not much is coming out in terms of information, except for Shell’s claims that the oil would disperse naturally and not reach the UK coastline. The Oilholic finds the lack of information to be frustrating and sincerely hopes Shell is not doing a BP style “underestimation”. At this point there is no reason to believe that is the case. Update 16:45 GMT: Latest estimates from Shell’s press office suggest 216 tonnes or 1,300 barrels had been spilled. © Gaurav Sharma 2011. 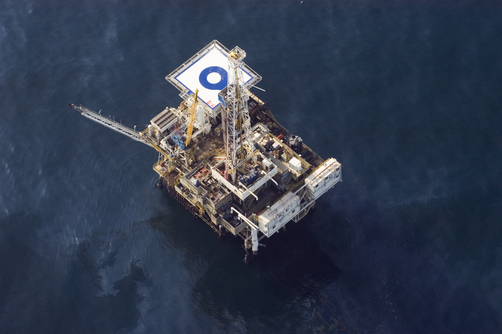 Photo: Dzheitune Lam Platform B © Dragon Oil Plc. It seems the Bears are back in Crude town and are hoping to lurk around for a little while yet. So this week begins like last week ended with the TV networks screaming how crude it all is. Well a look at either benchmark reveals a decline of above US$3 per barrel in Monday’s intraday trading alone and both benchmarks if observed over a seven-day period display a dip of 7% and above, more pronounced in the US given the “not so smart” political shenanigans related to the debt ceiling and S&P’s ratings downgrade of the country for the first time in its history. The Oilholic cannot quite understand why some people are either shocked or displaying a sense of shock over the downgrade because the writing was on the wall for profligate America. As politicians on both sides were more interested in points scoring rather than sorting out the mess, what has unfolded is more sad than shocking. Given the US downgrade and contagion in the EU, short term trends are decidedly bearish for crude markets. However, if it goes beyond the average market scare and develops into a serious recessionary headwind then Brent could finally fall below US$100 per barrel and WTI below US$80. Given the divergence in both benchmark levels, analysts these days offer different forecasts for both with increased vigour via a single note. For instance, the latest investment note from Bank of America Merrill Lynch (BoAML) sees Brent stabilising at US$80 and WTI at US$60 in the face of mild recessionary headwinds. However, the Oilholic agrees with their assertion there would be a Brent claw-back to prior levels as OPEC turns the taps off. “In the US, we would see landlocked WTI crude oil prices stabilising at a much lower level, as OPEC supplies are of little relevance to the supply and demand balances for crude oil in the Midwest. With shale output still projected to increase substantially over the next few months, we believe that WTI crude oil prices could briefly drop to US$50/barrel under a recession scenario only to recover back up towards US$60/barrel as shale oil output is scaled back,” BoAML analysts noted further. Over the short term, what looks bearish (at worst) or mixed (at best) for crude, is evidently bullish for precious metals where gold is the vanguard of the bubble. Does it make sense – no; is it to be expected – yes! Nevertheless, long term supply/demand permutations suggest an uptick in crude prices is more than likely by middle of 2012 if not sooner. 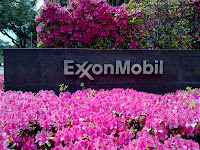 Moody's expects oil prices to remain high through 2012 which will support increasing capital spending by exploration and production (E&P) companies worldwide as they re-invest healthy cash flow streams. About 70% of capital spending will take place outside of North America, with Latin American companies including Brazilian operator Petrobras leading the way, according to a report published July-end. 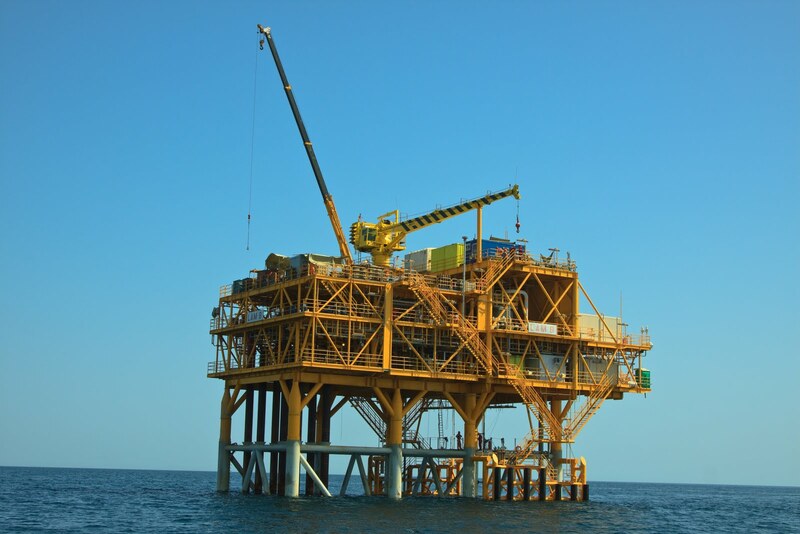 Additionally, development activity in the 2010 Macondo oil spill-affected Gulf of Mexico – while building some momentum – is still hampered by a slow permit process, says the report. However, Stuart Miller, vice president at Moody’s notes, "But the industry might approach the top of its cycle during the next year as shorter contracts and lower day rates change the supply/demand balance." Understandably, high risk, high reward modus operandi of the E&P business will remain more attractive as opposed to the refining and marketing (R&M) end of the crude business as the only way is up given when it comes to long term demand. Even the non demand-driven oil upsides (for example – as seen from Q2 2002 to Q2 2003 and Q3 2007 to Q3 2008) were a shot in the arm of E&P elements of the energy business (as well as paper traders). Moving on to other chatter, Mercer’s cost of living survey found Luanda, the capital of Angola as the world's most expensive city for expatriates. It topped the survey for the second successive year, followed by Tokyo in Japan and N'Djamena in Chad. New to the top 10 were Singapore, ranked eighth, and Sao Paulo in Brazil, which jumped from 21st to 10th. The Oilholic sees a hint of crudeness in there somewhere. Meanwhile, the National Iranian Oil Company, which does not get to flex its muscles very often in wake of international sanctions, got to do so last week at the expense of crude-hungry India. The burgeoning Indian economy needs the oil but US sanctions on Iran make it difficult to send international bank payments. As a result Indian companies have been looking for alternative ways to make payments to Iran after the Reserve Bank of India (RBI) halted a clearing mechanism at the end Q4 2010. In the interim, the cash-strapped oil rich Iranians threw a strop threatening to cut off supplies to India if payments were not made by August 1, 2011. However, it now emerges that at the eleventh hour both sides agreed to settle the bill as soon as possible. Well when 400,000 barrels per day or 12% of your crude count is at stake – you have to find novel ways to make payments. The “first” part of the outstanding bill we are told would be paid within a few days. Crudely sticking with India, that same week, the Indian government finally gave a formal “conditional” approval to LSE-listed mining group Vedanta Resources for its takeover of Cairn Energy's India unit. However, approval came with a condition that Cairn India and India's state-owned Oil and Natural Gas Corp (ONGC) share the royalty payment burden of crude production from their Rajasthan fields. ONGC owns a 30% stake in the block but pays royalties on 100% of the output under a "royalty holiday" scheme dating from the 1990s aimed at promoting private oil exploration. The sale, held in impasse since August, has been hit by difficulties resulting from differences between Cairn India and ONGC over the royalties issue. Vedanta (so far) has a 28.5% stake in Cairn India. It wants the government to approve the buyout of another 30% stake in Cairn India from Cairn Energy. Cairn Energy currently owns a 52% stake in Cairn India. Given the government’s greenlight, it should all be settled in a matter of months.